Gary returns to the studio after a several year hiatus to do his dream CD. Moonlight includes a collection of standards, cover tunes and a few surprises! We have assembled a formidable group of musicians to make this a winning project. Jamieson Trotter, Gabe Davis, Christian Euman, Conor Malloy, Bob Sheppard, Pat Kelly, Larry Koonse and special guest Terry Trotter. Paulette McWilliams and Gail Pettis are guest vocalists. 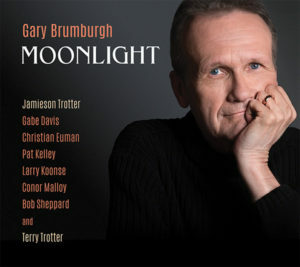 Gary has been wowing audiences with the music from his newest CD, produced by Barbara.